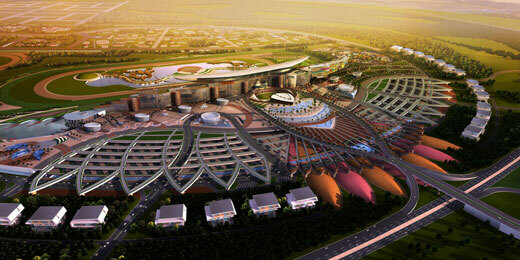 Meydan City is a 200 million sq ft project in Dubai separated into four distinct areas including the Racecourse with Meydan Hotel (67 million sq ft); Meydan Horizons (15 million sq ft); Godolphin Park and Meydan Metropolis. 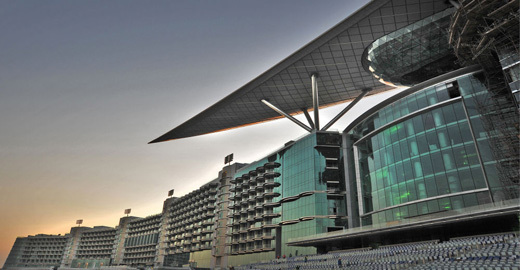 According to the report, the racecourse sector was completed and the rest has gone to construction tender ignoring the recent economic difficulties. Many of the main building projects were designed by Teo A. Khing from Malaysia.